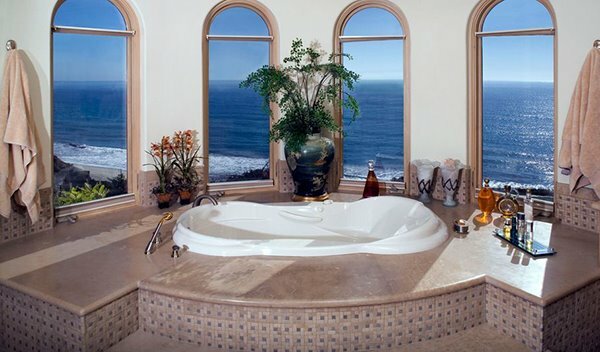 That one thing everyone desires to own after becoming wealthy is a lavish home of their dreams with absolutely mesmerizing Bathrooms. 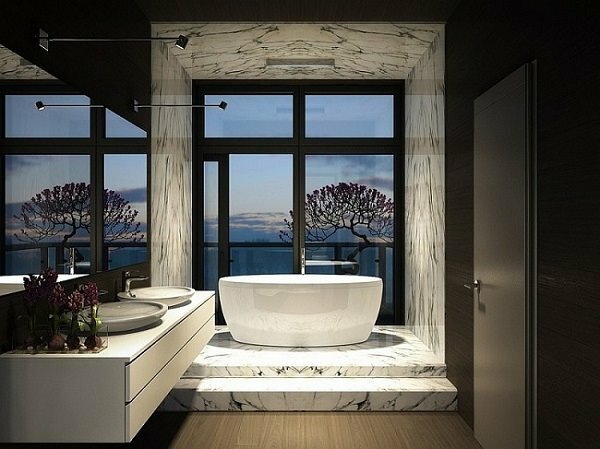 A luxury bathroom with its beautiful interior, also have class automated systems, black shower systems and even high-end electronic products. 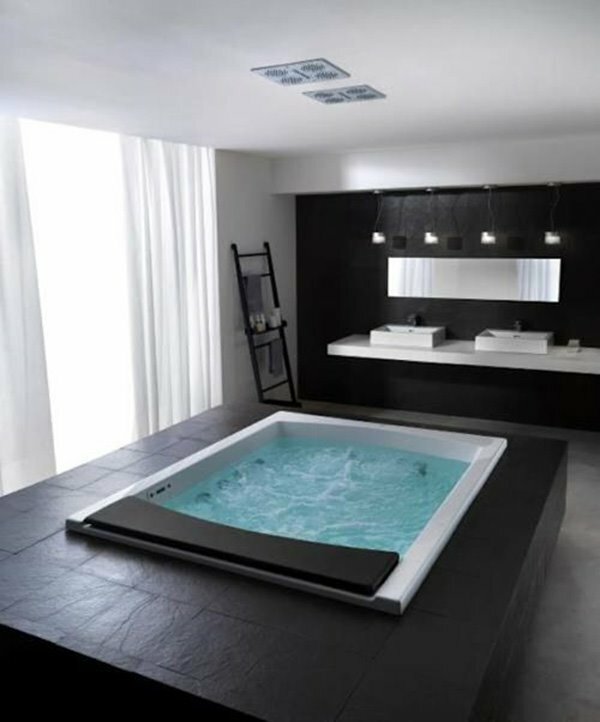 But no dream bathroom can be designed without the special bath tub. It is not strange to believe that many people schedule their whole day in the bathroom. So it’s very important that your ambiance comforts you. Also, if the bathroom is plush then the person who finds excuses or hate to bath will change ones mind in the realm of such fantasy bathrooms. 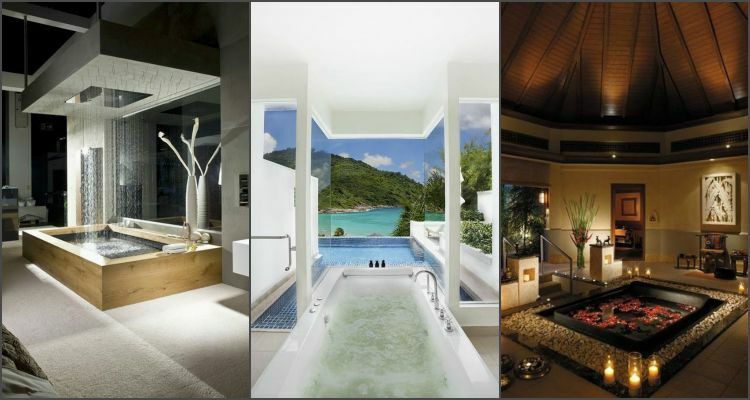 So have a look at the luxurious bathroom you would love to take a bath in. Expensive but a guarantee relaxation of body, this is what makes bathing in the traditional luxurious Asian tub a great experience. Who would not love to take a bath in the tub made up of copper? Not only kids can enjoy in the tubs like this. Adults can have fun too. 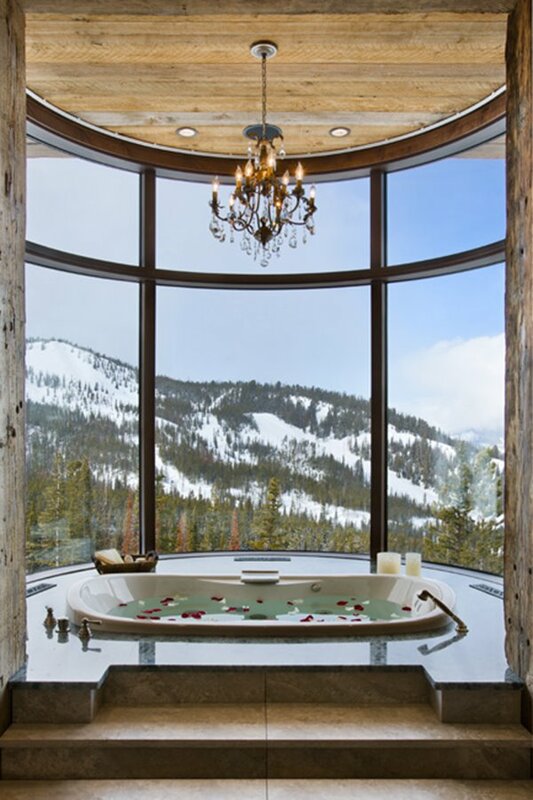 Distinguished from the traditional tubs, taking a bath in this unique tub with champagne and a view like this is like a dream. 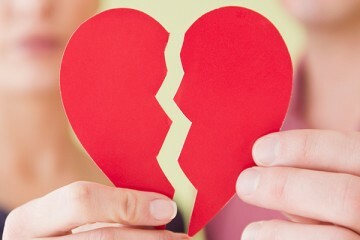 You must be missing your partner, right? 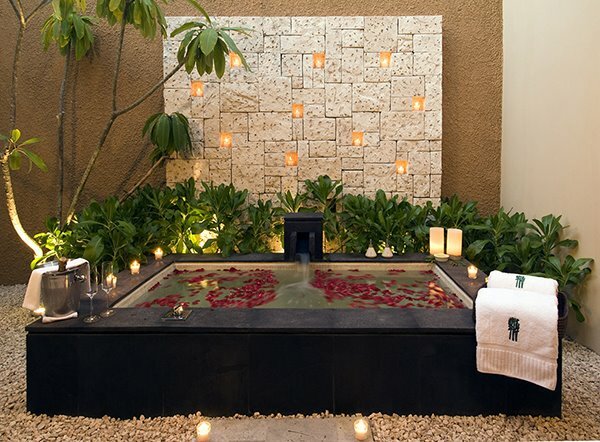 White colored walls, candles, flowers, mirror, tub and water. 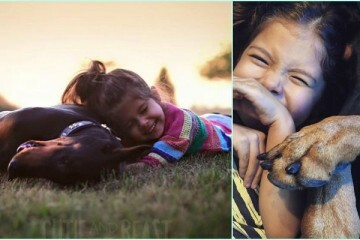 An essence of a perfect beauty. 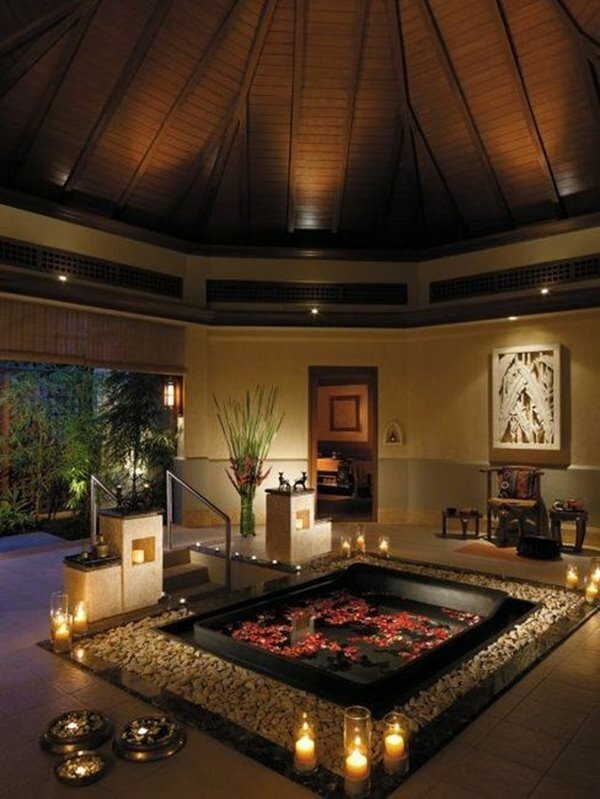 Any amount of money would be less to take a bath in this tub with such an amazing ambiance. 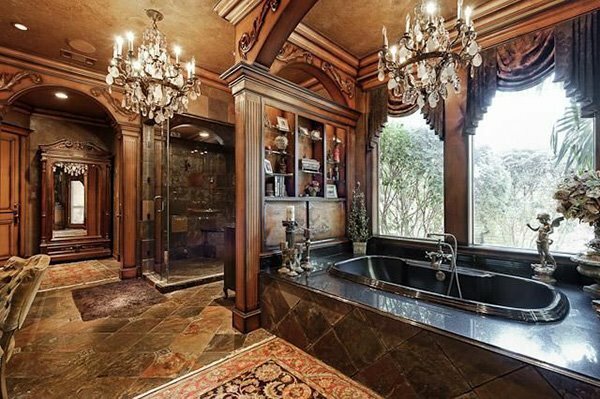 To take a bath in this palace bathroom, you need to be a King. One of my favorite bathroom from the old movies inspired from rich kingdoms. 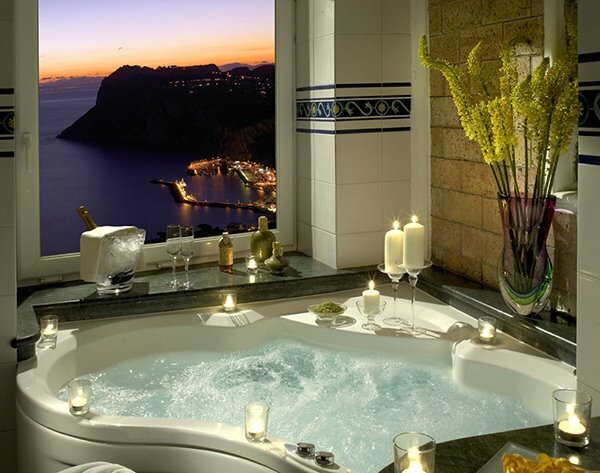 Don’t you think one can spend hours looking at the bright stars via the top window of the bathroom? 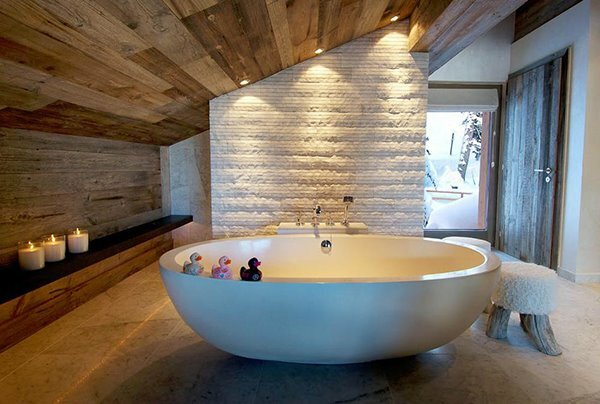 Any one can lost in day dreams in this modern design big tub. 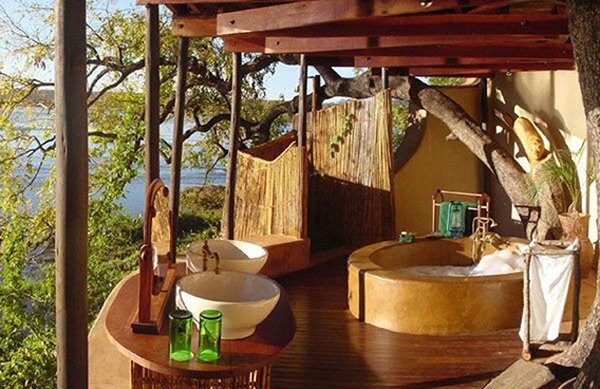 Where can one find such an awesome bathroom with nature all around it. 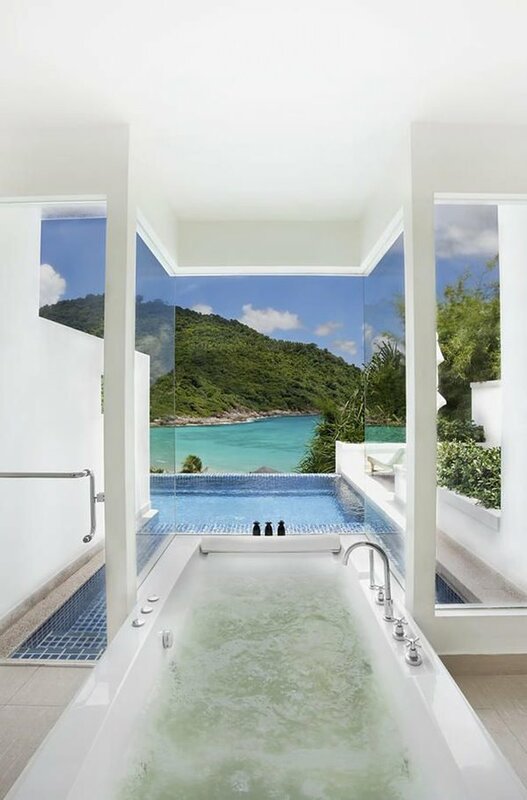 What makes this sunken tub apart is the awesome view from the windows. 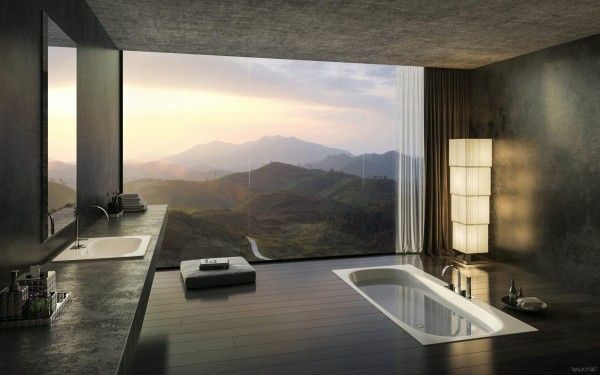 If your bathroom provides such a view, then you will definitely not like to leave it. 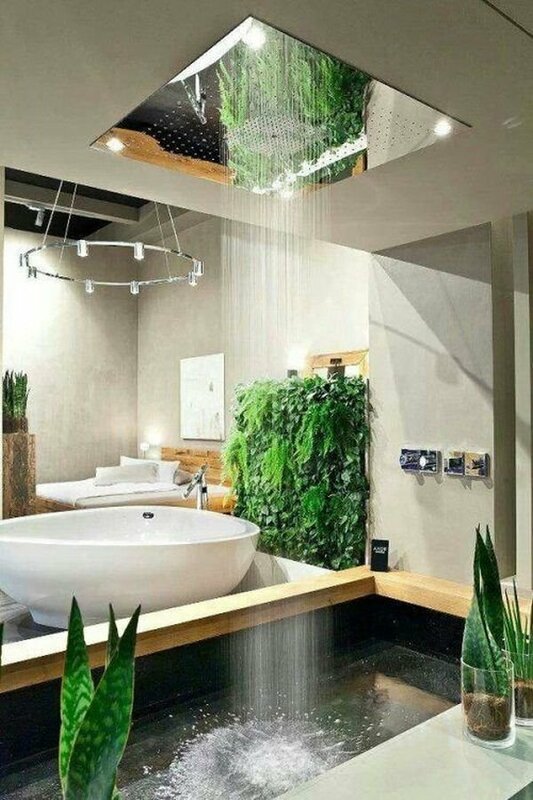 The feel of waterfall through this top shower says it all about this unique bathroom. Nothing can beat the feeling of holding a champagne, chilling while looking at the amaze view of the city. 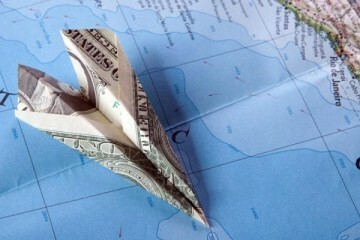 This is the best investment one can make to feel the peace and luxury in life. 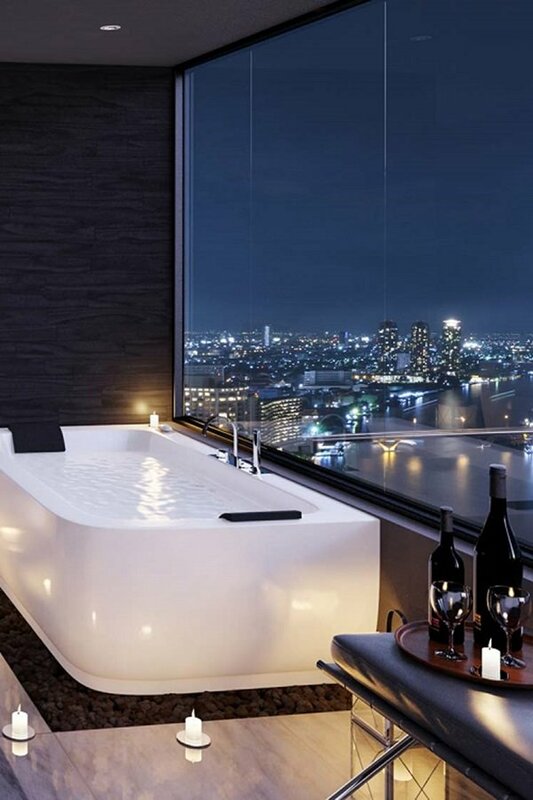 I can work for 14 hours a day, to take an hour long bath in a tub like this. Royale! 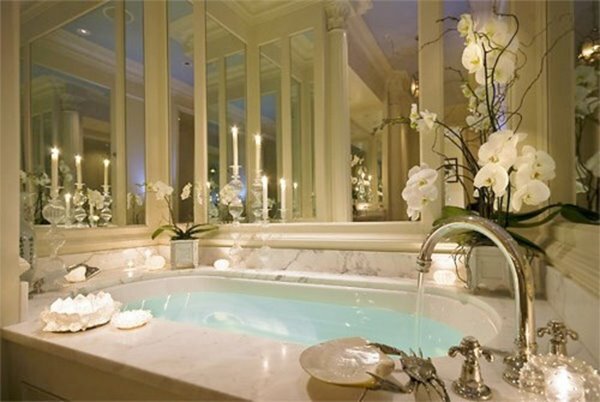 The Classy white modern bathroom with the glowing lights at the bottom makes it one of the most beautiful tub. 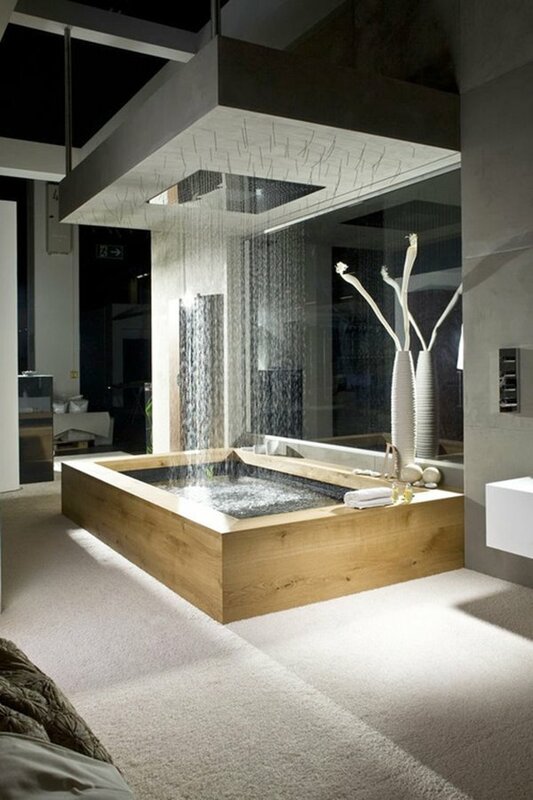 A bath tub with this awesome shower at the top is a must in a master bedroom. 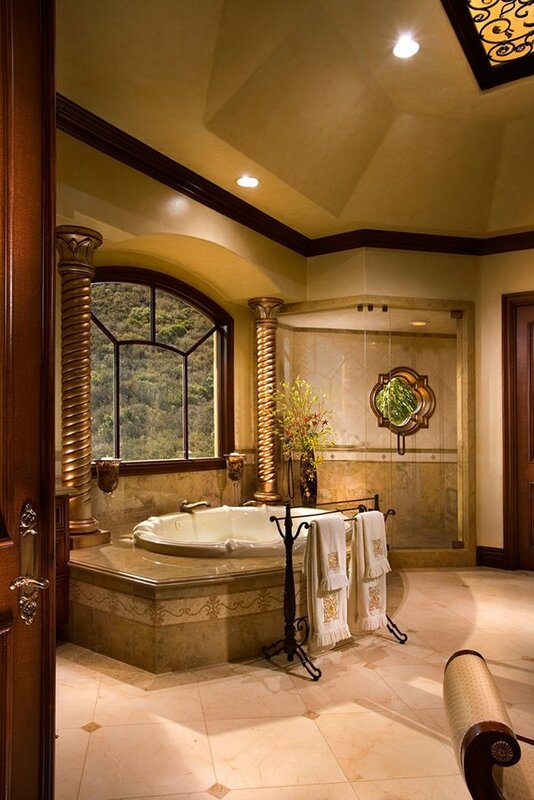 This is the most simple and cute luxurious bathroom I have ever seen. Though choosing one would be difficult. 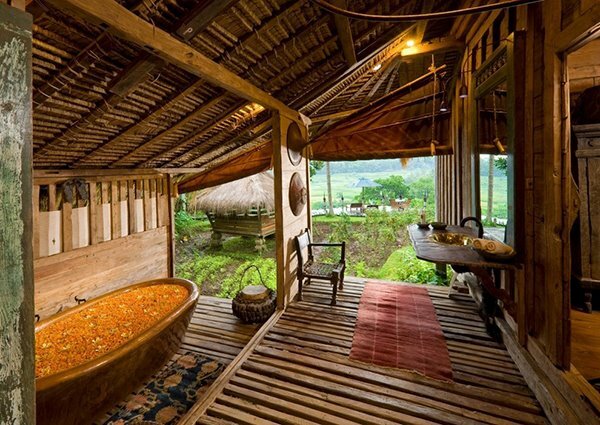 But please let us know in our comment section, which is your dream bathroom from above all?